Superb True Crime Novel that Reads Like Fiction. What made the experience of listening to The Abduction of Nelly Don the most enjoyable? The riveting plot and the amazing main character Nelly Don. She is a historical character that is very well developed in this story. She is smart, ambitious, and incredibly likable. Another cool feature was the last section which tells what happened to all the characters after the abduction. Nice way to end the story. Yes, this is a very well written book based on a real historical event. The suspense is artfully built from the story and is evenly sustained throughout. Mr. Lomakayu has a lovely southern drawl which fits this book perfectly. He gives an excellent performance. There are a number of tense moments. The actual abduction, the search, Nelly's contemplation of escape in the outhouse, the money drop, and in the final scenes wondering if she will survive. This is a very good book and it is clean. It is appropriate for teenagers even with the tense themes. I received this book free in exchange for an honest review. I love the narration of the books it was so enjoyable! The author makes you feel like you are part of the story. Can't wait to read or listen to her other books! The depression with an edge of mystery. I stayed interested in this book most of the time. I am not a fan of mystery, but this was a good one. It made me imagine how things were back when. I recommend this to every and can't wait to hear more from the author and narrator! 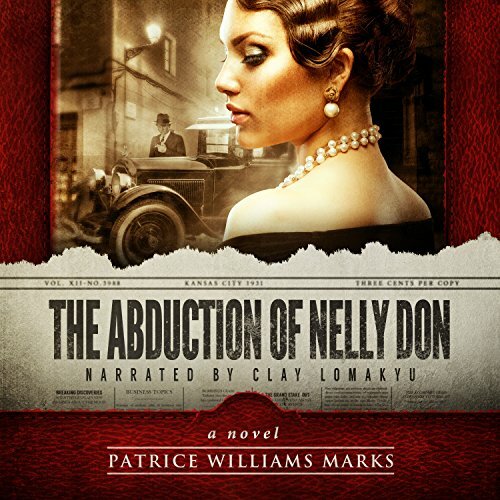 Where does The Abduction of Nelly Don rank among all the audiobooks you’ve listened to so far? This is a book I would recommend to a friend. I enjoyed it quite a bit. I listen to books as I am able; this is one that I had a hard time stopping. The author does a good job of moving things along at the appropriate pace. Unlike some books, I never felt that I had to "trudge through" any section to get back to the good part of the story. This is the first that I had heard Clay narrate. I would describe his style in this book as kind of "southern/western". At first I didn't know if I cared for his delivery. However, he had won me over a few chapters in and seemed fitting for this particular book. a really good read.Likeable vocal performance. check it out when you get a chance and enjoy.